Justin Trudeau certainly did not run on a military-strength platform. Nowhere on the campaign trail did Liberals talk about increasing military spending or using “hard power” abroad. The recent speech by Minister of Foreign Affairs, Chrystia Freeland, alongside the announced 70% increase in military spending should ring alarm bells. Stephen Harper wouldn’t have dared such an announcement. Canadians wouldn’t have accepted it. Not with our hospitals, schools and infrastructure in such sorry shape. Not with indigenous communities left abandoned by our entire economic system. Not without real action on climate change. Harper couldn’t have gotten away with shovelling an extra $14-billion a year into military spending. Why should we let Trudeau? The recent revelation that the Liberals planned their “international pivot” before they even took office serves as a stark example of what this government represents. They knew they would make this turn, but kept it secret from the public. The reason for this is obvious. Nobody would have believed the Liberal “sunny ways” if they knew the truth: that the Liberals planned to massively increase military spending and project military power around the globe. How can anyone that believes in democracy justify keeping such a major shift in policy secret? The Liberals should not be trusted. A government that prioritizes military spending is a government that intends to use it. Nobody elected Liberals to run military adventures. But the writing is on the wall. It is a matter of time before the Liberal government begins sending Canadian troops abroad to fight in wars that have nothing to do with defending this country from invasion. Freeland admitted as much in her speech. Beneath the velvet glove of the Liberal government lies the iron fist of the Canadian ruling class… the same people that Harper worked for, the same interests that try to push down wages and working conditions, the same corporate elite that destroys our environment, violates treaties with indigenous nations and ruthlessly exploits working people around the globe. Meet the new boss, same as the old boss. The proposed $14-billion a year increase in military spending is money directly taken from urgently needed social spending. This money could provide free university education to every student. This money could provide clean drinking water to every reserve. This money could take every homeless person off the street. But the priorities of the government are clear. 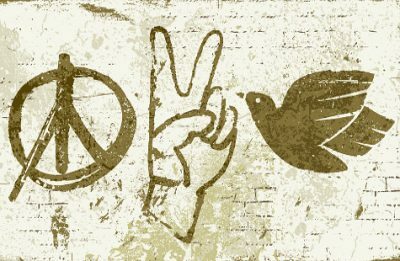 Those who stand for peace and justice must seriously think of revitalizing the anti-war movement. It is clear that it will be needed. Canadian Union of Postal Workers (CUPW) is a public sector trade union representing postal workers employed at Canada Post as well as private sector workers outside Canada Post. This article was first published on their website.